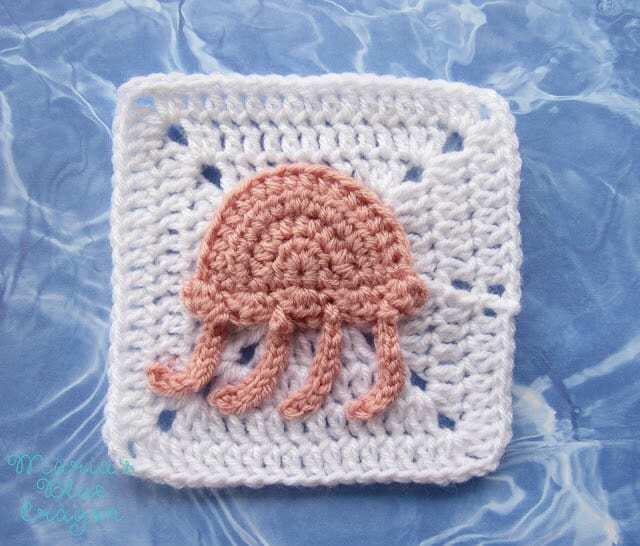 GET THE CROCHET JELLYFISH ALONG WITH THE GRANNY SQUARE PATTERN IN AN AD-FREE PDF DOWNLOAD HERE. 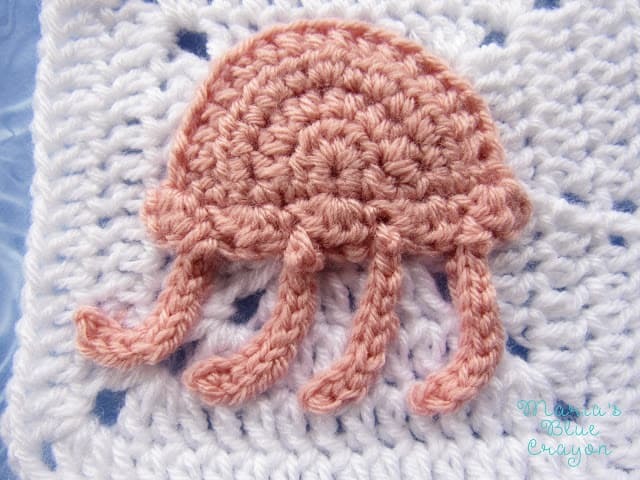 OR SCROLL DOWN FOR THE FREE CROCHET JELLYFISH PATTERN. This simple jellyfish is the second square to my Ocean Themed Afghan! I hope you enjoy this simple design. I can even see a blanket full of different colored jellies! My designing has become very slow as of late, but I have listed out and sketched out all the critters I plan to make for this afghan. So (theoretically) I should be rockin’ and rollin’ from here on out! Click here to find the pattern for the granny square as well as all the information you need to make the Ocean Themed Afghan. 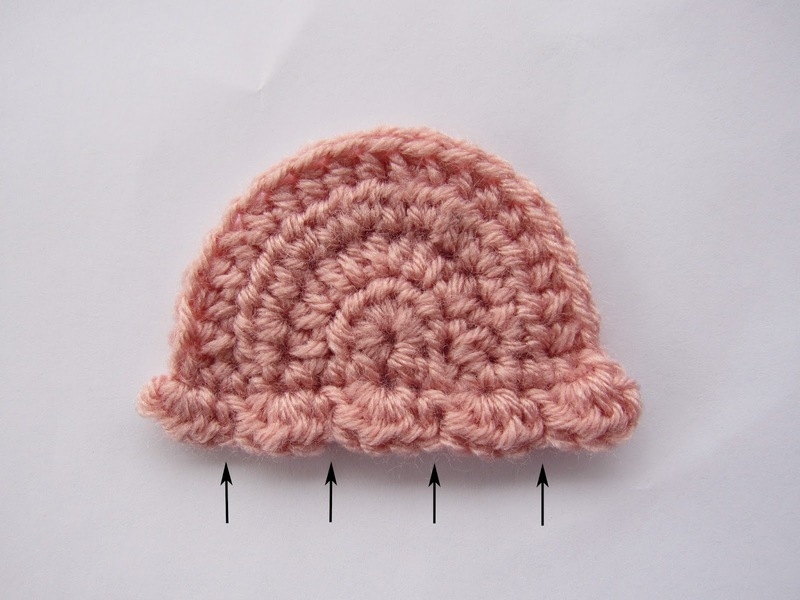 It will come out to be baby sized but can be made to be as large as you’d like! *Clover Amour hooks are amazing! As you can see 1 hook is about $8 (that’s about the same in stores, if not more), for $30 – you can get a whole set of 10! NOTE: Prices may have changed since I posted this. In the Rows 2&3, you will be skipping the last stitch. It may seem wrong to do so, but not skipping the last stitch will not result in the same shape. The last stitch is also hard to see, so it may seem like you are not even skipping the last stitch at all. Just make sure you have the amount of stitches noted in (parenthesis) for Rows 2&3. To work the bottom edge of the jelly fish, turn your work 90 degrees, chain 1 and SC along the edge. I crocheted 13 SC across ending in the first SC of Row 4. I crocheted into every space I could find along the bottom edge. Chain 2, turn your work, *3HDC in one stitch, skip one stitch, SC into next stitch, repeat from * 3HDC and slip stitch all into last stitch. Fasten off. The tentacles will be worked in the SC stitches from the bottom edge. The SC stitches are in between the bumps as shown in the picture below. Simply attach your yarn in the SC space, chain up 9, and slip stitch back up the chain to the edge. Do this for all 4 spaces. That’s it! Leave the tails so you can sew onto the granny square.